When conditions dictate, fishing for salmon with a lure can be very productive. Popular types include spoons, Abu Garcia Tobies, Flying C, Kynoch Killers, Rapalas, even heavier Droppen and Mepps can be effective. 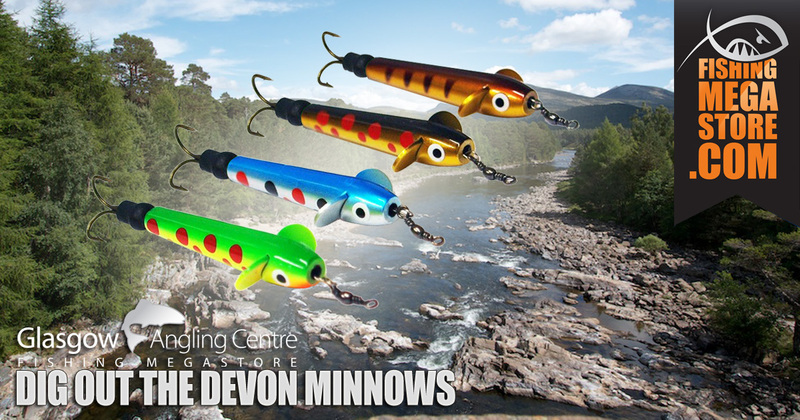 However, one of the most effective and productive lures which has stood the test of time is the Devon Minnow. The 'Devon,' as it's affectionately known, has an impressive track record and can be extremely effective throughout the season, yet a lot of anglers favour the modern spoons and Vision Onetens as their weapon of choice when spinning from the bank or boat. Devons have taken many salmon over years and were once the 'go-to' lure for many anglers fishing the Tay, Dee, Spey, Don and Ness to name but a few. There are two types of Devon Minnow: a standard version which is made from metal or wood (copper lined), and a floating version. Both have a similar action as they spin quickly as they move through the water. Both types are also rigged up identically, with each having a hollow body in which your line is passed through and tied to a wire mount which has a swivel and treble hook attached. The floating devon minnow, however, requires additional weight. As the Devon spins so quickly when you retrieve it, one of the biggest issues is getting kinks in your mainline, so it is very important to use a ball bearing swivel. Many anglers have different preferences, but one of the most effective methods is to attach a ball bearing swivel to the end of your braid or mainline, then attach 2ft of eighteen-pound mono to it. Next, feed this length of mono through the devon and attach the other end to the swivel on the devon trace. Finally, slide the devon over the trace and slide the tulip bead (which sits just above the treble) into the bottom section of the devon. Regarding the technique for fishing the devon, the approach is very similar to fly fishing where you allow it to swing around in the current. The key thing is getting the depth right; too heavy and it will not swing around, possibly even get snagged; too light and it will fish too close to the surface. Water height, speed and temperature should dictate what choice of devon you use. For example at the start of the season when the water temperature is colder, the best approach is to fish it slowly and deeply. Simply cast out at a seventy-degree angle and slightly downstream, and let it swing around in the current. When the devon reaches perpendicular to the bank, take a few steps and repeat the process. To fish the sinking devon at various depths requires casting at different angles. For example, if you need to fish deeper, use a bigger devon and cast out at a ninety-degree angle or slightly upstream, which will give it a chance to sink before it swings around. Additionally, you can impart a bit of movement in the lure by lifting the spinning rod tip up and down as the devon swings around, and you can also try to retrieve it intermittently to induce a take. When fishing shallower water, use a smaller devon. Also, try experimenting with different colour combinations of sinking devon. In contrast, the floating devon minnow can also be very effective when the conditions are favourable. Unlike the sinking devon, it requires additional weight to fish at the right depth, normally a bouncing betty. There are various options for attaching the bouncing betty to your mainline, however, one of the most popular methods is to attach a 12-15 inch section of mono to the first barrel swivel (attached to your mainline). Then choose the appropriate weight which will allow the devon to fish close to the riverbed as it swings around. 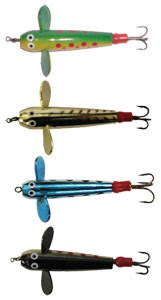 Another option is to slide the bouncing betty up your mainline before you attach your first barrel swivel, that way the bouncing betting is free to move up and down. The technique for fishing the floating devon is similar to the sinking. Usually, you cast out around seventy degrees and let the lure swing around in the current. Ideally, you want the bouncing betting to 'bump' along the riverbed, therefore it's important when using this technique to take into consideration the conditions of the pool you are fishing. If snaggy, it can be problematic; if the current is too slow, then the lure won't swing around properly. So with the salmon fishing season upon us, it's worth considering and resurrecting the humble devon minnow. 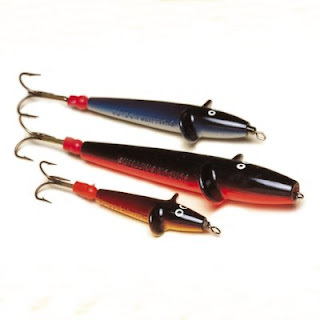 Granted, there are a plethora of amazing lures out there, for example, the Vision Oneten, Rapala, and Tobie etc, but sometimes the traditional methods that have stood the test of time can be the most effective, and of course, satisfying.